The Migdal Palace is in the heart of Rome near all historic sites. The hotel has a comfortable atmosphere for the Shomrei Shabbat. Its wonderful central location will give you the privilege of enjoying both worlds on the one hand you will be in the center of town, in the greatness Rome and on the other hand you will enjoy wonderful kosher breakfasts and synagogues all within a short walking distance. The Migdal Palace is in the heart of Rome near all historic sites. The hotel has a comfortable atmosphere for the Shomrei Shabbat. 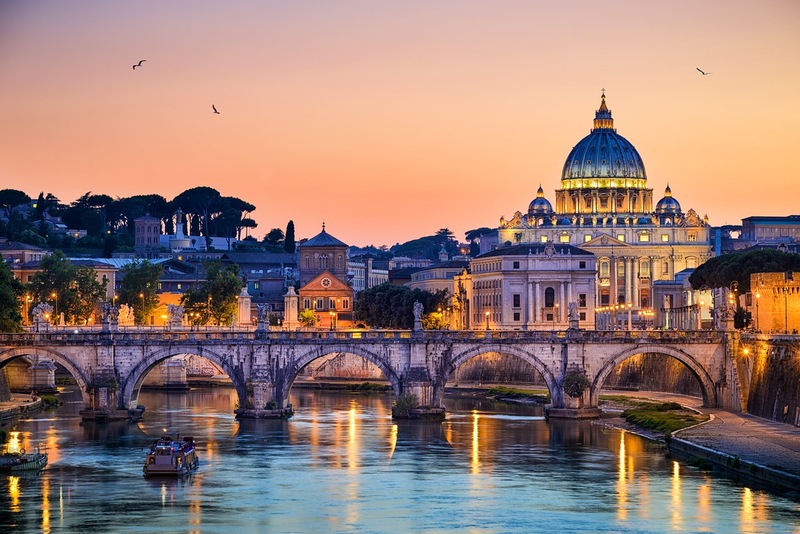 Its wonderful central location will give you the privilege of enjoying both worlds on the one hand you will be in the center of town, in the greatness Rome and on the other hand you will enjoy wonderful kosher breakfasts and synagogues all within a short walking distance. The Migdal Palace Hotel is located in the heart of historic Rome, a stone throw away from the most important tourist and commercial sites in the city, and also in walking distance from the Jewish Ghetto and the main Synagogue. of an old and well equipped apartment building. is its being equipped for mainly shomrei mitzvot. The most important thing the guests get Kosher food for breakfast. The hotel offers free WI-FI only on the hallway. ״Spent 4 great nights in a nice room, with a lot of thought put into the decor. The staffis very welcoming, and made us feel at home. The place is so close to all the attractions, we never needed any transportation. Breakfast was good as well. 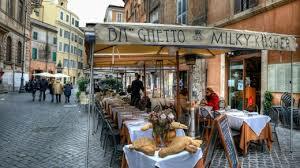 Being close to the Tiber, i even enjoyed great morning runs,in the brisk Rome air. Great place to be, for what i consider a reasonable price." "This hotel has several advantages for the kosher traveler. The inclusive breakfast in the morning is decent. On Shabbat they provide you with hot plates to warm up the food. 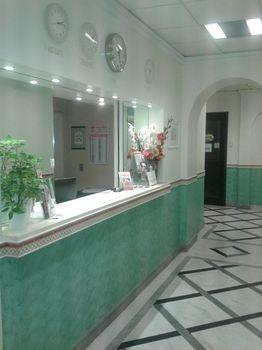 The hotel is also a short walk from the Jewish quarter." 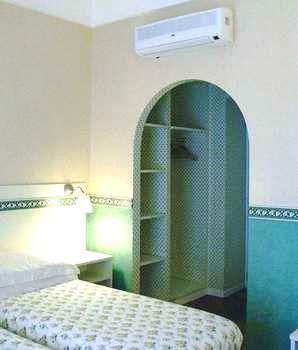 All the 13 air-conditioned rooms are equipped with every necessary comfort, all with private bathroom and shower. Some rooms have a connecting door. A triple room is a room suitable for three people containing two single beds or one twin bed plus one extra bed. A quad room is a room suitable for four people containing two single beds or one twin bed plus two extra beds. The extra beds may be a pull down or a roll away bed. A few minutes from the Piazza Navona, Campo de Fiori, Pantheon, Castel S. Angelo, Vatican and S. Peter Square, Piazza Venezia, Coliseum, Spanish Steps, etc. 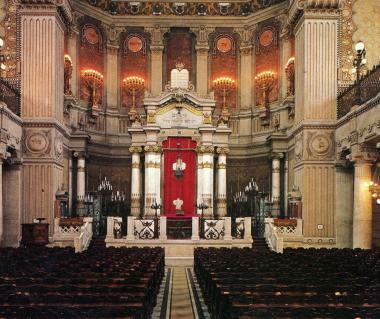 The Jewish Ghetto and the main Synagogue are at walking distance from the hotel. The hotel is ideally located near the historic center, archaeological sites, museums, cultural and artistic events venues and major exhibitions. The shopping center is close too. The kosher breakfast is served Israeli style. It is possible to bring ready made meals from outside and eat them at the hotel, but only dairy ones. It is also possible to use the hot-plate of the hotel on Shabbat. Nearby Synagogues. 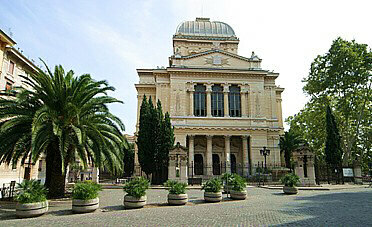 The Central Italian nusach Synagogue and the Sephardi Synagogue are 10 minutes walking distance. The young people Synagogue in front of the hotel is open on Shabbat and on Sunday morning. On Shabbat guests can buy food and heat it on the Plata only dairy, there are Sabbath lunches for 20 EUR per person at the young minyan across the street. From the International Airport Fiumicino- take the train and go down at the station named Trastevere. From there take the tram number 8 direction Torre Argentina up to the final station. It is possible to book transfers from the airport at 50 EUR each way. 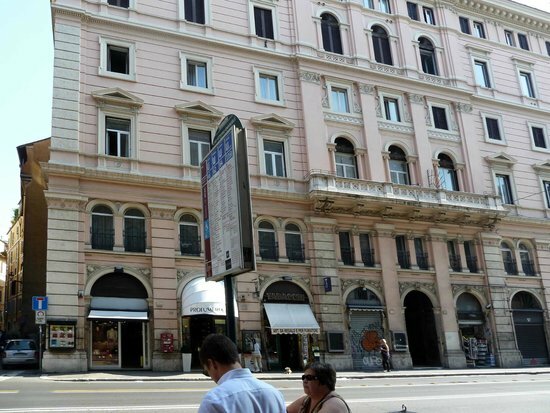 From the central railway station: take bus number 64 and go out one stop after Piazza S. Pantaleo. You will arrive at the hotel in about 15 minutes. Bus number 64 from the train station to Corso Vittorio Emanuele II 173. About 15 minute ride. From the road surrounding the town -grande raccordo anulare, exit at Via Aurelia direction Rome center. Continue on the Via Aurelia until Piazza G. B. de la Salle, and here turn right on the Circolare Aurelia. After Piazza di Villa Carpegna drive straight on on Via Gregorio VII and after Piazza Pio XI park the car at the big parking place. Take the bus number 916 or 571 or 190 direction center until one stop after Piazza della Chiesa Nuova.